Etisalat Nigeria is changing its brand name to 9Mobile, TheCable has learnt. A few weeks ago, Mubadala Group, the major investor from the United Arab Emirates, pulled out of Nigeria’s fourth largest mobile operator, due to a N541 billion debt. TheCable understands that Olusanya was appointed to oversee the transition of the company due to his experience in the smooth transition of Celtel to Airtel. The transition of the telcom, with 21 million subscribers, was brokered with the aid of the Central Bank of NIGERIA (CBN) and National Communications Commission (NCC). 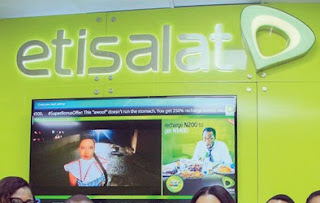 NCC has warned the creditors that the licence awarded to Etisalat Nigeria is not transferable, effectively stopping the banks from taking ownership of the company.